First day back in Germany after a pretty remarkable week in Japan. If you traveling as much as I do both professionally as well as privately and you are blessed to have been able to visit all five continents already, it is difficult not to become a little jaded and for these trips to become routine. Despite working in the fight industry for more than a dozen years and growing up worshipping real-life superheroes like Antônio Rodrigo Nogueira, Josh Barnett and Fedor Emelianenko growing up as a young rugrat, I was of course very happy the sport would finally take me to the “Land of the Rising Sun”. In retrospect, I have to say that I was absolutely amazed by both the country and its people and also the RIZIN 2017 in Yokohama event I was attending with our fighters Bestare Kicaj and Jazzy “The Alpha Female” Gabert. Even though the best fighters in the world do not mainly compete in Japan anymore, at least not in most of the predominant weight classes, I have to say that I was very impressed by the level of competition and even more so by the execution of the event. Being lucky enough to be working with the UFC for the past eight years, I am used to very well-organized and well-ran events, but the way how Mr. Sakakibara and his staff are paying attention to every little detail and how tight both production and the overall flow of the show was, I have to say I was impressed. Very impressed! The best example for that was that in one second a fighter is getting knocked out totally out of the blue and literally a few seconds later you have the winner’s hymn playing, a bunch of ring girls in the squared circle presenting the winner with a huge trophy and the jumbotron already playing the replay of the knockout from different angles. You can clearly see that these people not only know what they are doing, but they must have been doing it for a long, long time if they are to execute with this level of perfection. As far as my overall Tokyo experience goes, time was as always very limited, so I had to pick and choose what I wanted to see and do very wisely. Being that the gourmet that I am, getting great beef and sushi to taste was of course very high on my list. Thanks to Shingo-san who took me into the land of various treats one night, I was able to sample a few delicacies I would otherwise probably not dared to order. 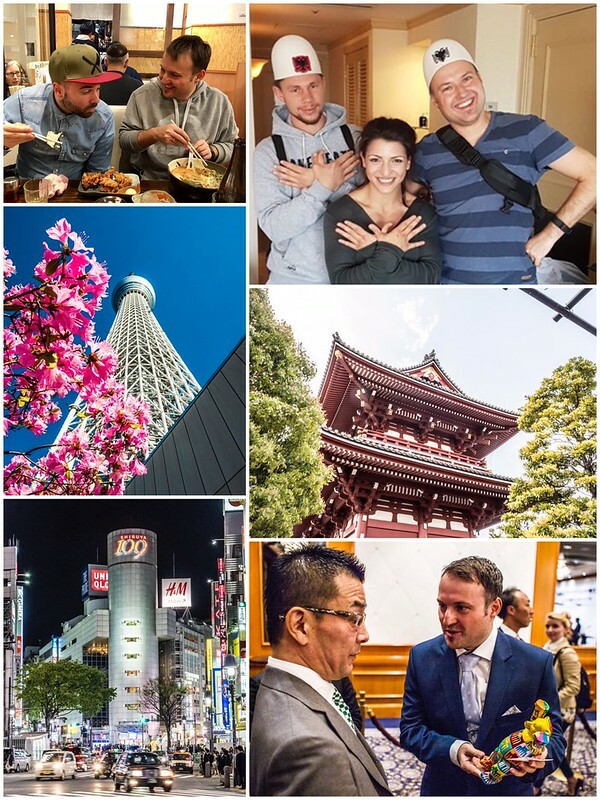 Culturally, I was only able to scratch the surface by visiting Asakusa district and the Sensō-ji temple, the Imperial Palace and the adjacent East Garden, Tokyo Skytree, Ginza and the Tsukiji fish market. Having stayed in both in Ebisu and Shibuya I also got some impressions from these areas. So much more to see and do in this great city, so I hope I get to come back again. Thanks to Ahmet, Ante, Bestare, Bruno, Fumihiko, Go, Jazzy, Kosovar, Malte, Nikolay, Pax An, Shingo, Vanessa and Yumiko for making these very memorable seven days!